Tags: Gown, Ivory, Long Length, Party, White. Pure chiffon two tone ivory white and light grey maxi has been adorned with embellished bodice. 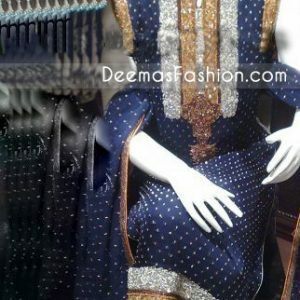 Embellishment work includes antique kora, dabka, sequins and resham work. 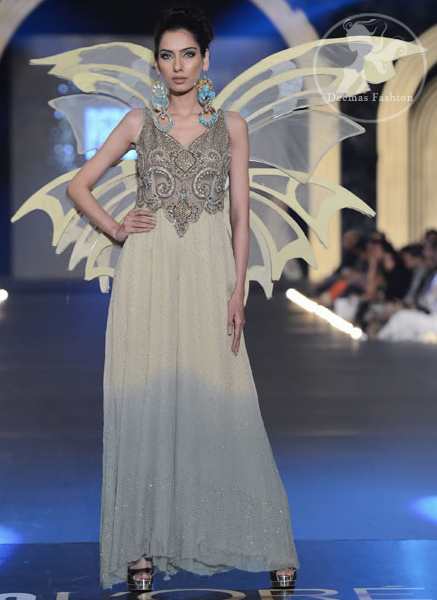 This dress comes with matching dupatta.